Early 1998: Fr. Samuel & Fr. 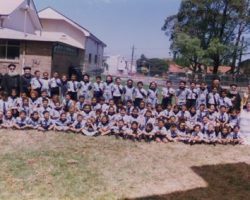 Mikhail sent a letter to his Holiness Pope Shenouda, proposing the idea of forming a second Coptic Orthodox school in Sydney. Bishop Youanis, secretary of his Holiness, contacted Fr. Samuel stating that his Holiness had agreed to this proposal and requested more details on this project. 1998: His Grace Bishop Paula, a delegate of his Holiness Pope Shenouda, appointed a director for the College, Fr. Mikhail Mikhail, also forming the first College Board. 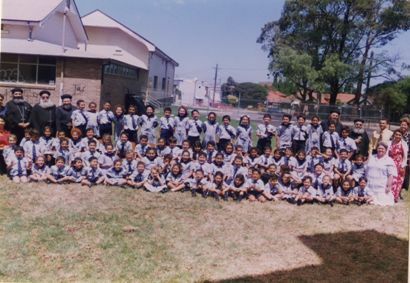 February 15th 1999: Opening of the primary campus in Bexley, which was also the first day for the students. 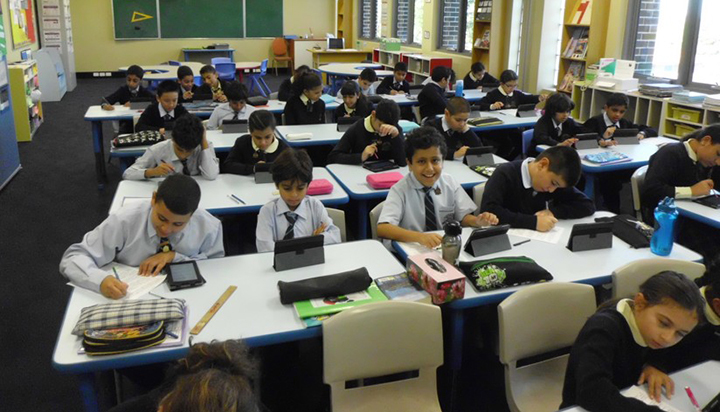 The school began with eighty students, spread across four classes, from kindergarten to grade three. 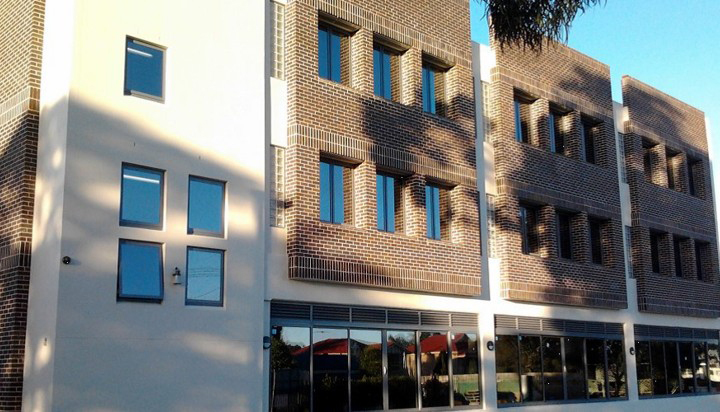 Staff included four teachers, a co-ordinator, a financial manager and a secretary. March 1st 1999: His Grace Bishop Paula conducted the official opening of the College, attended by politicians and many guests. July 1st 2004: The College purchased the High School Campus at Rockdale. February 1st, 2005: The High School campus was opened. 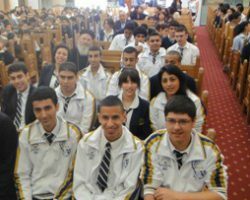 October, 2006: A decision was made by his Holiness Pope Shenouda, for the College to expand to include senior students in years 11 and 12. 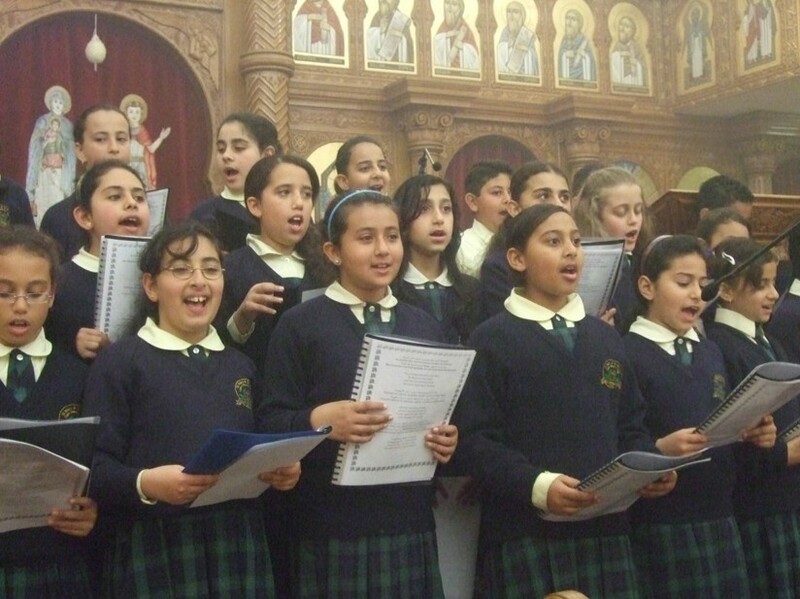 March, 2008: His Holiness Pope Shenouda approved the construction of the new Primary building. February, 2009: His Grace Bishop Paula joined the school to celebrate the College’s first year 12 graduates. 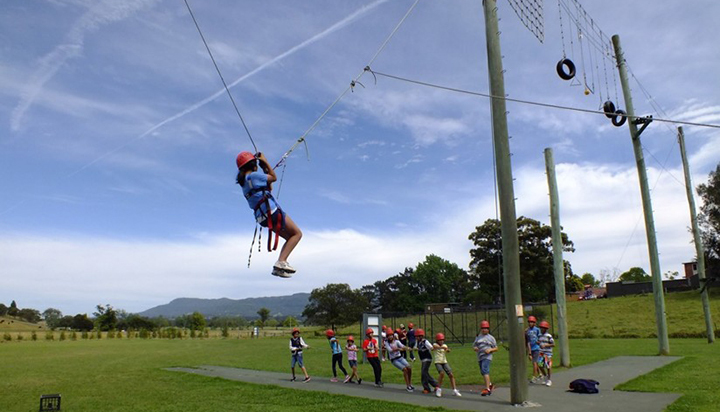 The school ranked 86th in the state amongst approximately 1000 schools. 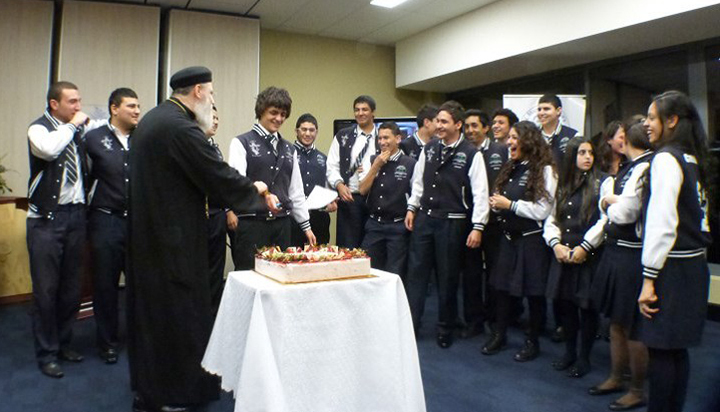 February, 2010: His Grace Bishop Paula, visited the school to bless the second graduating Year 12 group, who ranked 63rd in the state. 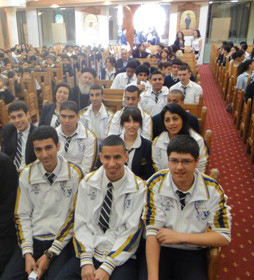 April, 2010: His Holiness Pope Shenouda honoured the achieving students of 2009 and 2010. March 24th, 2011: His Grace Bishop Paula once again came, to bless the opening of our new College building, in the name of his Holiness Pope Shenouda. He also came to bless the 2010 year 12 graduates, offering his congratulations to the school for ranking 90th in the state. 2011: The year 12 graduates ranked 49th in the state. 2012: The year 12 graduates ranked 63rd in NSW. The College encourages its students to believe that they have the potential to achieve excellence, by trusting in God and having faith in their own abilities. 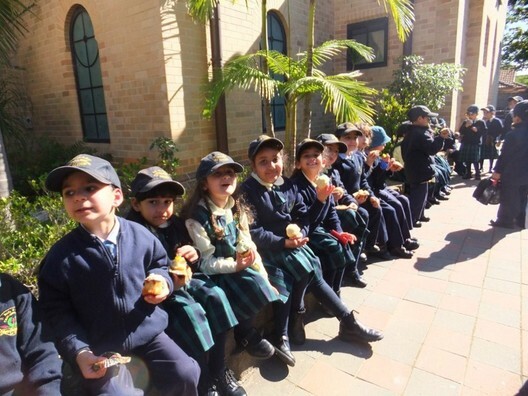 St Mary and St. Mina’s religious beliefs are interwoven throughout all aspects of the curriculum and regular opportunities for worship are available for students, by sharing prayer time and weekly liturgies together in St. Mary and St. Mina’s Coptic Orthodox Cathedral. This beautiful and inspiring environment challenges students to live their life through a Christian perspective and to reflect on the expectations of the Word of God. The students live these Christian values out by participating in various activities that help those less fortunate than us. This year the College has been fundraising for a small developing Christian school in Uganda, Africa. The students also have the opportunity to write to, and receive letters from the students in that school. This allows our students to see and understand how fortunate they are to be able to first and foremost, practice their Christianity, as well as to have a formal education while enjoying clean food and water. Senior students are also involved in visitations in local nursing homes providing support to elderly members of the community. 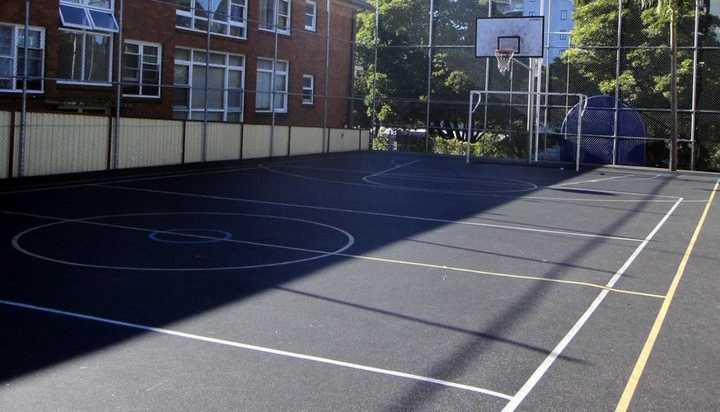 The students participate in many extra-curricular activities in school and the wider community. The activities and programs are planned with the following verse in mind for our students, Jeremiah 29:11, which is “For I know the plans I have for you declares the Lord, plans to prosper you and not to harm you, plans to give you hope and a future.” As a College we are not only eager to provide the students with the best educational activities there are but also to provide them with a real sense of spirituality and what it means to be a Christian in today’s society.